Fillelkes claimed that a recruiter told her she needed to put her dates of graduation on her resume so the company could view how old she was. I can’t remember: is transageism a sacred right, like transgenderism, or an abomination like transracialism? Silicon Valley’s tech industry skews young. As of late last year, the median age of workers at both Google and Menlo Park-based Facebook was just 29 years old, according to the Huffington Post. … Two-thirds of older tech workers say they have either experienced or witnessed age discrimination at work, according to a 2013 survey taken by the organization [AARP]. A study by recruitment platform Hired cited by the Financial Times suggests that once tech industry workers turn 45, they often see the number of job offers fall and their salaries plateau. “People brag about how young the average age of their workforce is and say downright derogatory things to older people, almost like they are above the law,” McCann said recently, speaking generally about ageism in Silicon Valley’s tech industry. Sorry, 40-something Googlers, but you don’t have any Diversity Pokemon Points, so nobody cares. Sorry, Walter Brattain. 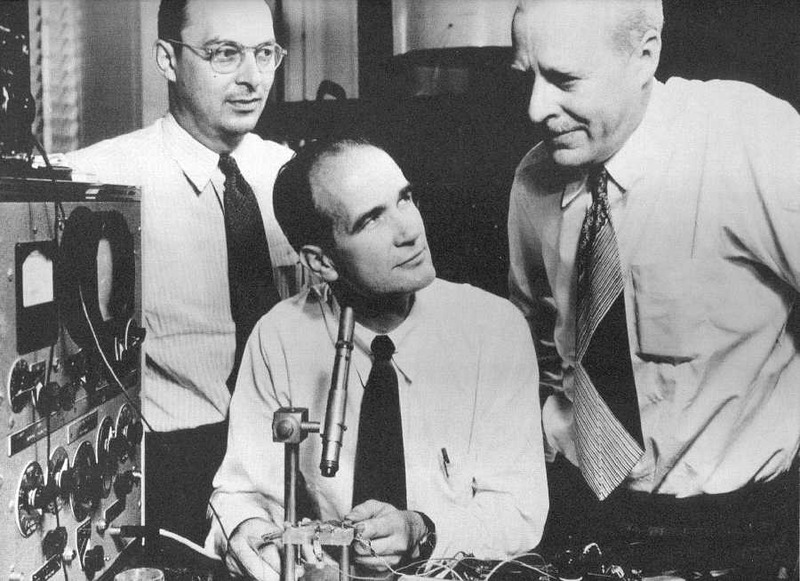 You may have made Silicon Valley possible by co-inventing the transistor and won the 1956 Nobel Prize in Physics, but you were too old to work there now: age 45 in December 1947. And Shockley was 37, and Bardeen was 39 so they barely squeak by. Plus, Bardeen was definitely too old when he did the work, starting in his late 40s, that won him his second Nobel.